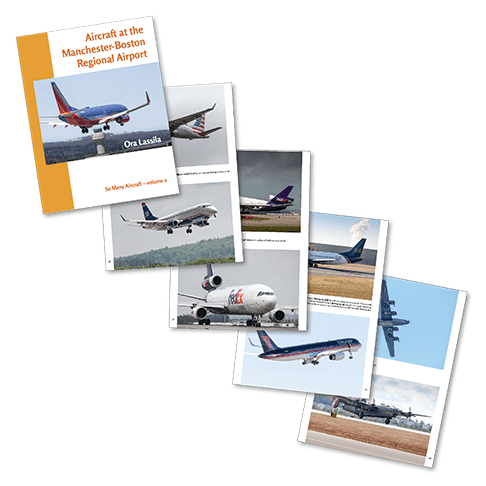 This book is a pictorial tribute to all the aircraft operating at (and visiting) KMHT, the Manchester-Boston Regional Airport in Southern New Hampshire. 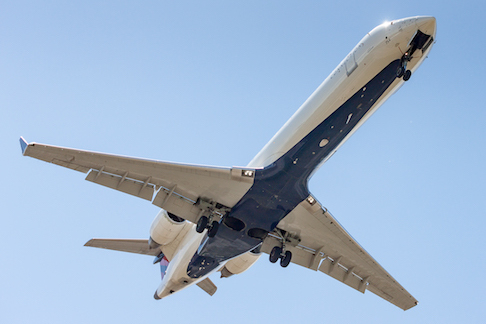 The 150-page book features 298 large color pictures about recent and current airliners scheduled to KMHT as well as the many different visitors that the airport sees, from business jets to military aircraft and vintage warbirds. There is also a special chapter on Presidential elections and primaries, as many campaign aircraft visit the airport during election years. The photographs in the book were chosen from about 7,000 pictures in the author's archive. Obviously we could not include them all, but you can find some more pictures here. The picture at the bottom of page 37 is not from KMHT but from KEWR (Newark, NJ). Many thanks to Tom Heath for spotting this.